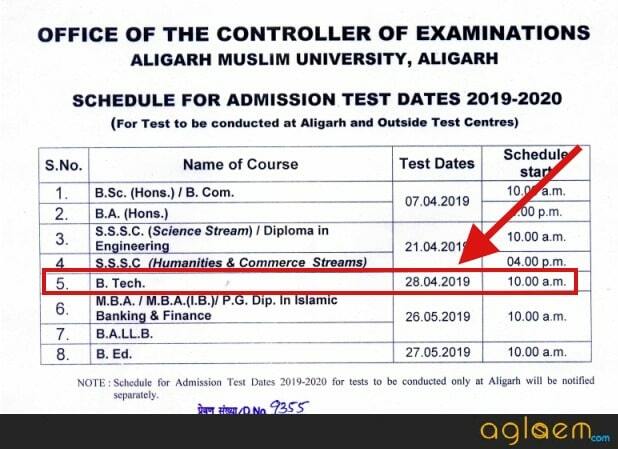 The Aligarh Muslim University has published a notification in which it has published the exam date for AMUEEE 2019. The University is going to conduct the entrance exam on May 26, 2019. The entrance exam is held to shortlist candidates for admission to B.Tech/ B.Arch/ B.E in the Faculty of Engineering & Technology in AMU. As of now, only the exam date has been announced, the rest of the information now available. Those who wish to appear for the entrance examination, need to fill in and submit the application form for AMUEEE 2019. The registration for the entrance exam has been started online at amucontrollerexams.com. 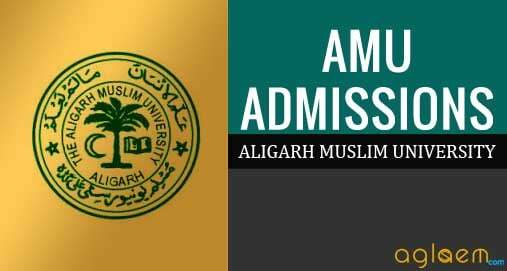 The Aligarh Muslim University Engineering Entrance Examination (AEEE) is a pen-paper based test which will consist of Multiple choice objective type questions. Check complete details on AMUEEE 2019 from this page. Latest: AMUEEE 2019 exam date has been revised. Scroll down to check the new date. AMUEEE 2019 Exam Date For B.Tech / B.Arch 28 Apr 26 May 2019 – Announced! AMUEEE 2019 Exam Date For B.E 10 Jun 2019 – Announced! The closing date for all admissions in the University, except those courses / categories for which separate notification will be made, is August 10, 2019. Any vacancy arising after this date in any course shall not be filled. Selected candidates need to submit their Original Migration and Character Certificates at the time of admission. Those candidates who didn’t submit the Migration or Character Certificate at the time of admission, shall give an undertaking on prescribed Proforma to be submitted by September 30, 2019, failing which the University reserves the right to cancel his/her admission. For all courses where Selection Process is based on candidate’s performance in the Qualifying Examination, the candidate must upload self attested photocopy of his/her marksheet / grade sheet of Qualifying Examination on or before June 18, 2019 failing which his/her Application Form will be summarily REJECTED. Candidate must fulfill eligibility criteria in order to be considered for admission. Check AMUEEE 2019 Eligibility Criteria before applying. The university shall not verify eligibility at the time of application form submission. Eligibility will be verified by AMU at time of admission, and if the candidate is found to be ineligible then he/she will be disqualified. The aspirants should have passed Class 12 or Senior Secondary School Certificate Examination of this University or an equivalent examination. Should have studies subjects like English, Physics, Chemistry, and Mathematics. Should have obtained at least 50% marks in aggregate in all subjects. Those who possess a Diploma in Engineering of this University with at least 50% marks in aggregate are also eligible to apply. Note: Candidates possessing Diploma in Engineering qualification may apply for admission to B. Arch. Programme at their own risk & cost. 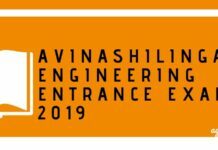 They will be considered for admission only if Diploma in Engineering is approved as qualifying examination for admission by the Council of Architecture / Government of India”. Diploma in Engg. in the relevant branch of study or an examination recognised by the University as its equivalent with 50% marks. The application form for AMUEEE 2019 now available online at the official website of the University. To apply for the entrance exam, the aspirants have to register first and then proceed to fill in details in the Application Form. To register online, you need to provide your correct and functional email as well as Mobile Number because your login credential will be sent on this email. In the AMUEEE 2019 Application Form, the candidates have to fill in their Personal Details, Educational Qualification Details, etc. If a candidate wished to apply for multiple courses, they need to submit a single application only. It is also advised to the aspirants to fill-in correct information in the AMUEEE Application Form and Review it properly before Saving it as you may not be able to Edit/Update it afterward. Mode of Payment: The aspirants may pay the necessary amount of the application fee by Credit Card/ Debit Card/ Net Banking. Note: Candidates applying for admission to B.Tech. can also apply for admission to B.Arch. on the same Application Form after paying additional Admission Test fee of Rs.100/-. Such candidates shall also have to appear in Paper II. The Offline exam is 03 hours duration and consist of multiple choice questions. The test will be in English medium only. The candidates have to solve 150 MCQ type question. The test is divided into three sections which consist of questions from topics – Chemistry, Physics, and Mathematics. The Admission Test for B.Arch programme is 03 hours duration. Test is divided into two papers – Paper I and Paper II. Paper 1 will be common with B.Tech. applicants, which means, that it consist of 150 MCQ type questions of 150 marks. On the other hand, Paper II is an Architecture Aptitude Test which contain some descriptive questions and Test of Drawing. Timing for B.Arch is 10:00 am for 1st Paper and for 2nd Paper is 03:00 pm in Aligarh. The Admission Test for B.E programme is 02 hours duration. There shall be one objective type paper of 100 marks comprising 100 questions with 25 questions on Physical Sciences and 75 questions on relevant Engg. Sciences. The next important step in the preparation is to know the syllabus for the exam.The syllabus given below is as per last year’s information and will be updated as soon as the details for the academic session 2019 will announced. It is advised to the candidates to prepare for AMUEEE 2019 as per the syllabus which will be provided by the University. The syllabus for AMUEEE 2019 will consist of important topics which one must prepare for the entrance exam. The candidates can check the complete syllabus for the entrance examination from the table below. Freehand sketching of scenes and activities observed by candidates from rural/urban life commonly observed such as Markets, Streets, Bus / Rail, Station, Ghats, Waterfront, monuments etc. Design, Drawing & Presentation of commonly seen/used posters / Graphics, Greeting Cards, book cover design, hoardings, logos, wallpapers, flooring patterns etc. Creative Design & presentation of commonly used day to day objects/artifacts like Candle Stand, toilet fixtures, furniture, Soap Case, Chandelier etc. and futuristic automobiles, airplanes, mobiles, computers etc. Creative Composition (Geometric or otherwise) depicting, visual harmony or contrast using elements like Shapes, colors etc. One of the key parts in the preparation is that the candidates should prepare from only limited and best books only. Though there are many books which are available online as well as in the shops. Below we have mentioned some books which can further help you in the preparation. The admit card for AMUEEE 2019 will be issued for those candidates who will successfully register for the entrance exam before the last date. NO printed admit card shall be sent to the candidates through post/ courier. To download the AMUEEE Admit Card, you need to log in by entering details such as Application Number, etc. It is mandatory for the candidates to carry the print out of the AMUEEE 2019 Admit Card on the day of the examination. Furthermore, after downloading the Admit card, you must check that the details printed on it is correct or not. In case if there is any discrepancy in the admit card, it is advised to the applicants to submit this query to the concerned authorities. Candidates are required to paste their recent passport size color photograph in the space provided on the downloaded Admit Card. Once the entrance test is conducted successfully at all the exam centers, the University will then release the Answer Key. It shall be available a day or two after the test has been conducted. The Answer Key for AMUEEE 2019 will available for download online at the official website. It will consist of correct answers to the questions asked in the test. The candidates should use the answer key to calculate their probable score and estimate their chances of qualifying the entrance examination. The candidates should note that the calculation of marks is to be done as per the marking scheme given by the University. You need to add marks for correct answer and deduct marks for an incorrect answer if there is a negative marking. The candidates shall also be allowed to submit the objection in the AMUEEE Answer key online. The result of AMUEEE 2019 will be announced online. It shall be available for check in pdf format. The University will prepare and publish three types of list – Select List, Chance Memo List, Special Category List. These lists will consist of the details of the candidate who will be provisionally Selected for Admission to B.Tech at Aligarh Muslim University. Those candidates whose name will be included in the list will then be eligible to appear for the Counselling and Documents Verification. The statistics given below is as per last year’s information and will be updated as soon as the details for the academic session 2019 will announced. Check the AMUEEE 2018 statistics from the given table below. AMU Faculty of Engineering and Technology has 365 seats in Bachelor of Technology (B.Tech) and 20 seats in Bachelor of Architecture (B.Arch). The counseling is held in-person. The candidates are required to download the call letter and reach the counseling venue in person. There the registration, document verification, and seat allotment will be done. The allocation of the seat will be done on the basis of the candidate’s rank in the exam and choice for the course stated by them. The schedule and details of counselling will be announced after the announcement of result. For Detailed Information regarding AMUEEE 2019, Download Information Brochure. Sir, how many attempts for AMUEEE? Where is the result for amu b arch ? Sorry, but we can’t do so.